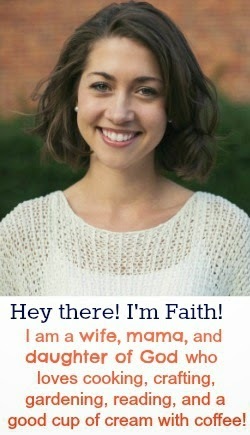 The Life Of Faith: Better Together (because you're not meant to mom alone) Book Review and Giveaway! 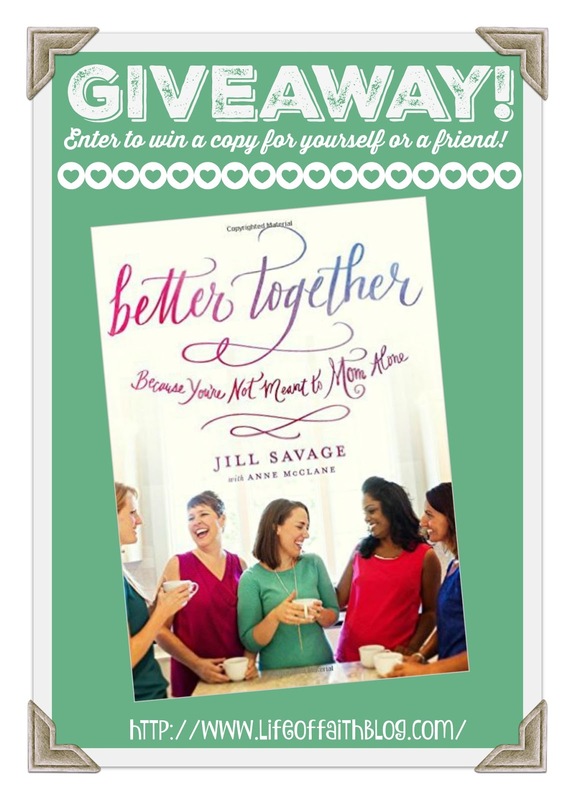 Better Together (because you're not meant to mom alone) Book Review and Giveaway! 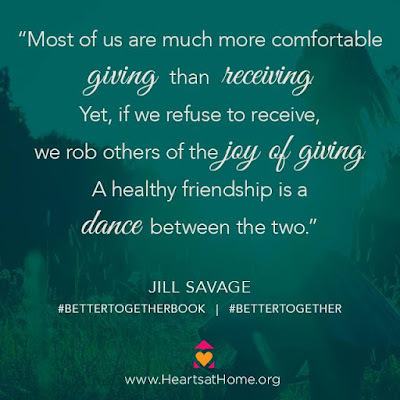 I was thrilled to have the opportunity to review the book Better Together Because You're Not Meant To Mom Alone, by Jill Savage and Anne McClane. I have often found this season of motherhood to be lonely in a lot of ways, particularly because I am far away from my parents and siblings and the deep friendships that I grew up with. I have come to terms with the fact that motherhood is hard, but in the words of Jill and Anne, "it doesn't have to be lonely." Making friends as a mom isn't always easy or natural. It's safer to hide out at home under the guise of getting the laundry done where no one can judge our messy hair and spit-up stained yoga pants. Better Together reminds moms that they need each other and give psractical tips on how to connect with the community of moms that is available around us especially in a culture where we are often distanced from our community of relatives. For me personally, this book was eye-opening on the type of friend that I am and inspired me to be a better friend to my fellow mamas. I was also reminded in the very first chapter that I need to be better about accepting help from friends, something that my pride often gets in the way of! I know that reading time is hard to come by as a busy mom, but this book was well worth the time spent. I have already found myself implementing the strategies shared in this book for deepening my friendships as well as cultivating new friendships with moms I meet at story-time or the park. We are all doing this mom thing, we might as well do it together, right? We will be better because of the lives that we let into ours. "Friendships fill your gaps.They allow you to tap into the strengths of others." If you would like a chance to read Jill's new book, and learn how to fill in those friendship gaps, enter the giveaway below! But if you just can't wait to read it for yourself, order your own copy on Amazon, listed here. I think the most valued trait is understanding. Understanding where I am in life and what my days are like.